French Grape Seed Extract contains powerful health-promoting nutrients called oligomeric proanthocyanidins (OPCs) that support a wide range of health needs. 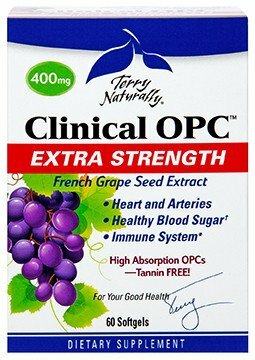 Clinical OPC™ Extra Strength delivers 400mg of VX1™, a unique French Grape Seed Extract. It's standardized for only small sized OPCs to better ensure absorption. Large OPCs (tannins) in grape seed extract cannot be absorbed. 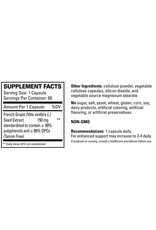 VX1™ provides the clinically recognized level of OPCs for consistent, life-enhancing benefits. 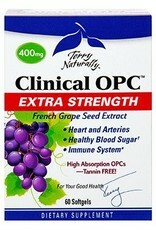 Learn more about Clinical OPC Grape Seed Extract from Terry Naturally!